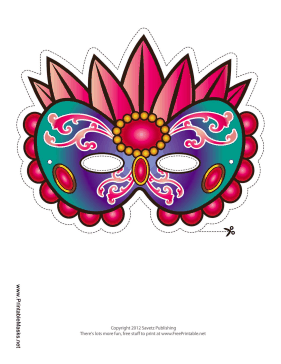 This fancy and feminine Mardi Gras mask is perfect for private and public parties. The blue and teal mask base has pink decorations all over it for a coordinated and delicate look. This mask is free to download and print.